A beauty, great capture. 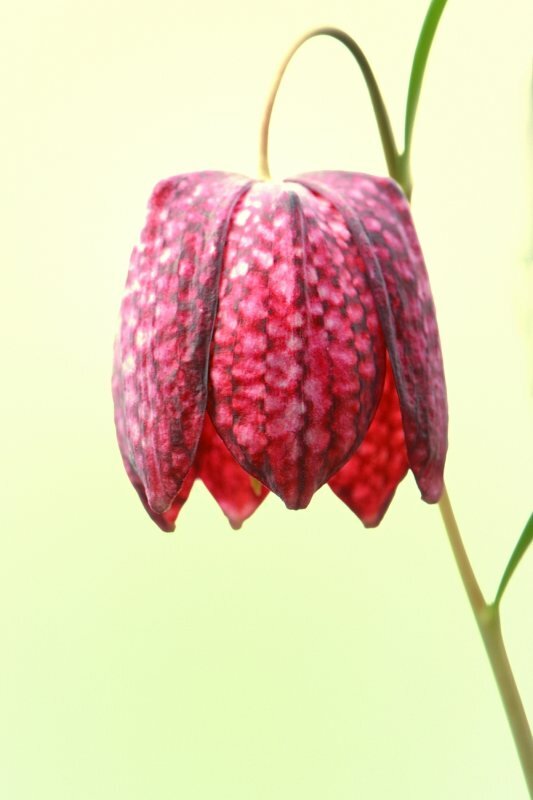 V.
A beautiful close up of this mottled crimson flower. J’adore votre photo. Cette fleur est admirablement mise en valeur par votre composition. C’est splendide. Very lovely against the white background. Fantastic image of this wonderful flower. Beautiful Ton. Looks like a lantern. A very lovely capture, Ton!! Very pretty and it shows so well against the background. Beautiful macro with these colors and details in the petals. "V"
Very pretty. Do you have the white ones over there as well? Looking forward to seeing them flower here soon. Great capture of this beautiful blossom that almost doesn't look real with that unusual pattern. V.